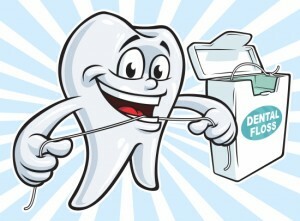 We have always been told throughout our childhood that flossing is a crucial part of human hygiene. Every dentist would tell every kid that walked through the door that they needed to be doing more flossing. Well this topic came up briefly in class and it caught my attention, so I figured it was worthy of a blog. So is flossing is good or bad? It now appears as though there is a serious lack of scientific evidence that flossing is beneficial. In fact, according to a flossing review from 2011, there are no signs that flossing is going to actually prevent plaque from building up at all. 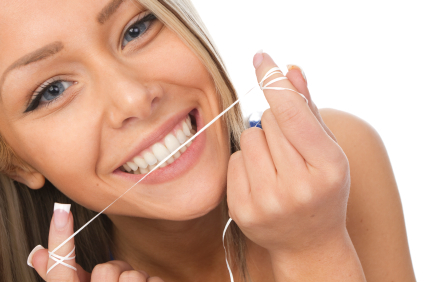 It states that there is some slight benefit to be gained from flossing as it could potentially protect the gums from inflammation if done correctly. However, if flossing is done incorrectly it could lead to you ripping up your gums and therefore be detrimental to your oral health. The biggest problem overall with flossing though seems to be that many people just don’t know how to utilize it effectively. There actually is more nuance to it than simply jamming the string straight down between all your largest teeth after all. This is the largest reason as to why most researches say that flossing as a whole in today’s society is marginally beneficial at best. The American Dental Association (ADA) still maintains a belief that flossing that is truly done correctly is still worth it because it can potentially prevent gum disease from occurring later in life. This is actually a subject in which I believe an experiment could be easily accomplished here in America. You could simply have two groups of people, one who constantly flosses and one who never flosses, and see if there are any differences in their teeth after a long span of time. This would be easy and not controversial because of how many people there already are in the country broken up into these two groups by their own choice. Each group would still brush their teeth twice a day, but doing this control experiment over a long period of time would gather some key data into whether or not flossing protects from gum disease. Personally, I have always found flossing to be comforting after meals that can be stressful on the teeth. I realize that it is unlikely that I am flossing as a medical professional would, but I feel as though flossing can really allow for some relief after putting down a couple ears of corn on the cob at a summer BBQ. My takeaway from this research on flossing is that it is much much more important to get two quality sets of teeth brushing in per day than it is to worry about any flossing. However, if you are someone like me and you just enjoy to floss every once in a while, that certainly won’t hurt either. Kyle, I found your post to be pretty informative and interesting because I, too, have had the dreaded annual dentist visits, and wondered whether a last minute floss would make any difference. I definitely agree that, although it may not make the biggest difference, it can be a temporary relief after a stressful meal, as you said, or even just a small confidence booster. However, every once in a while, I find that string floss actually irritates my gums, and I don’t always enjoy the process. I found that one potential alternative that may not exactly be as effective, but is much gentler, and effective at avoiding bleeding: the water flosser. If you are interested in learning about it, you can find it here on an article from the Dental Specialists of Maine. Maybe it’s worth a try, who knows? 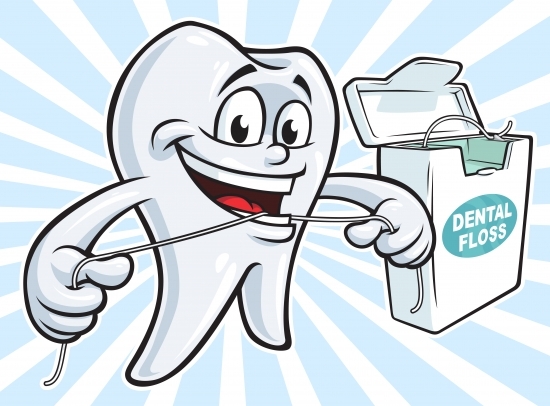 In my personal experience I have been very bad when it comes to flossing, so to see that it may not be the most beneficial thing it tends to be a sigh of relief. I personally prefer to use a waterpik. Although very similar to flossing I find it less irritating on my gums and it does essentially the same thing. In a Livestrong article they do a good job comparing the two and listing their pros and cons. You can check it out here if you’d like.